How do we get precious pearls? 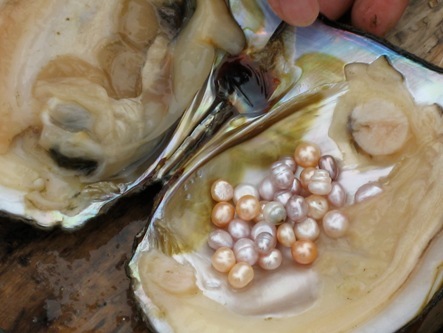 One of the most prized gems throughout history is natural pearls. Pearls are the product of a reaction to ensconce strange particles that enters the soft body of the molluscs, especially in the bivalve. This process takes about 10 years. Pearls are of size, color and shape variables and its value is determined by three factors. Although prized since antiquity, it is believed the habit of using them as ornaments originated in India, where the Phoenicians spread it throughout Europe. Currently the pearls do not have much value as in the past, mainly because most of them are cultivated, which has devalued the increase in supply. The South Sea from Australia are a type of cultured pearls in the salty waters of northern Australia, Indonesia and the Philippines. It has a range of color ranging from white to black. The price varies depending on its brightness and its cultivation time is from 3 to 9 years. Tahaiti pearl is cultivated in warm salty waters of French Polynesia and may have different colors: gray, green, orange, gold, blue and black. Freshwater pearls are grown in rivers and lakes in China farms. Possess asymmetric shape. 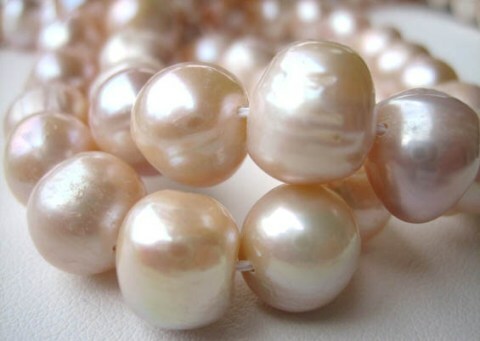 The cultured pearls in this type of water are mostly white, but can become pink. Freshwather pearls are cultured in fresh water, mainly in the lakes and rivers of China, but also produced in Japan and the U.S. in smaller amounts. It is organic, because it comes from a living being. Finally, Mabe pearl, hemispheric cultivated. It grows attached to the inside of the shell of an oyster rather than within the body of this. They are grown mainly in Japan, Indonesia and Australia. It is an organic gem and culture time ranging from six months to two years. They are easy to get, which makes its value is lower than round pearls.